The Chief of Health is responsible for managing and supervising all stages of Child Survival and Development (CSD) programmes (e.g. gender, maternal, neonatal, child survival, nutrition, water and sanitation (WASH), emergency preparedness) within the country programme, from strategic planning and formulation to delivery of results. S/he leads and manages the health team including establishing plans of action to achieve concrete and sustainable results according to plans, allocation, results based-management approaches and methodology (RBM), as well as UNICEF’s Strategic Plans, standards of performance and accountability framework, and does so in consultation with the Regional Advisors of Health, Nutrition and WASH. 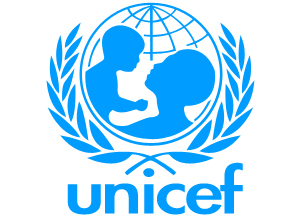 Consult and collaborate with colleagues and partners to provide technical and operational support on programme planning, management and implementation, and to ensure integration, coherence and harmonization of programmes/projects with other UNICEF sectors throughout all stages of programming processes. Participate in emergency preparedness initiatives for programme development and contingency planning and/or to respond to emergencies in country or where designated. Participate and/or represent UNICEF in appropriate inter-agency (UNCT) discussions and planning on CSD-related issues to collaborate with inter-agency partners/colleagues on UNDAF planning and preparation of health programmes/projects, ensuring organizational position, interests and priorities are fully considered and integrated in the UNDAF process in development planning and agenda setting. An advanced university degree in one of the following fields is required: public health/nutrition, pediatric health, family health, health research, global/international health, health policy and/or management, environmental health sciences, biostatistics, socio-medical, health education, epidemiology or another relevant technical field. Experience working in a developing country is considered as an asset. Relevant experience in a UN system agency or organization is considered as an asset.